Our local guides know every inch of the massive trail system in and around Park City. That means an incredible day on the trails for you, with people that have the local knowledge and inside scoop on everything from the best climbs for a great workout, to the smoothest flats for effortless glide and the best places to go based on current snow conditions. A Local Cross Country Skiing Tour can be as intense or as chill as you want it to be. 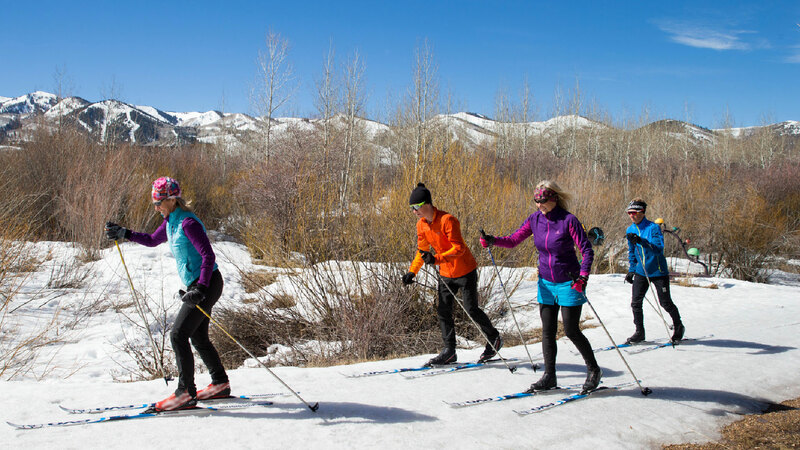 Whether you are the type to hammer it out on skate skis, or want to see as much of the trails as you can on classic skis, our guides are ready to help you experience the best of winter in Park City. Prior to the day of the tour, your guide will contact you to find out what sort of skiing you're looking for, and to plan a customized route accordingly. It's that personal touch that makes our cross country ski tours a true local experience, and keeps people coming back year after year.